Dutch artist Piet Mondrian created a geometrical abstract style using black lines, primary colors, and white space. Mondrian has had a lasting influence on modern painting, architecture, and design. After viewing Mondrian's work, the Kindergarteners learned what the primary colors are: red, yellow and blue. 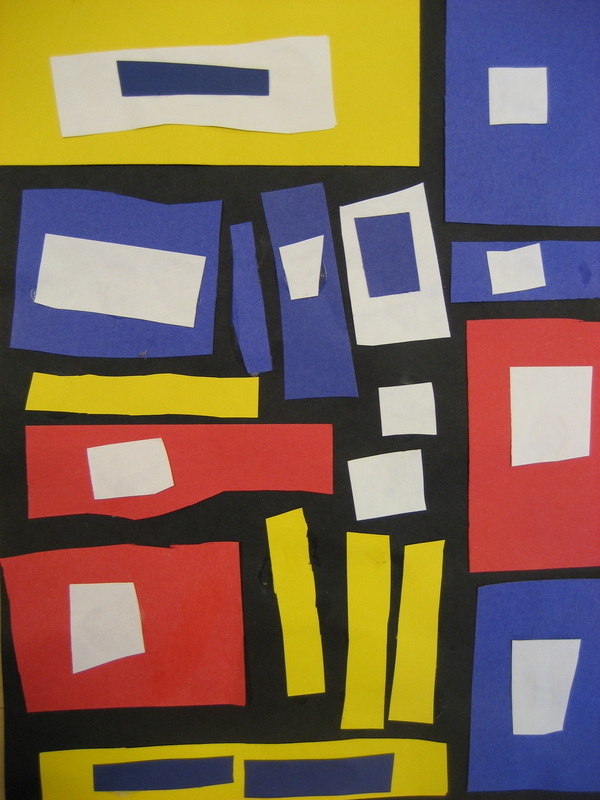 We used red, yellow, blue and white construction paper to cut into squares and rectangles that we collaged onto our black background paper. 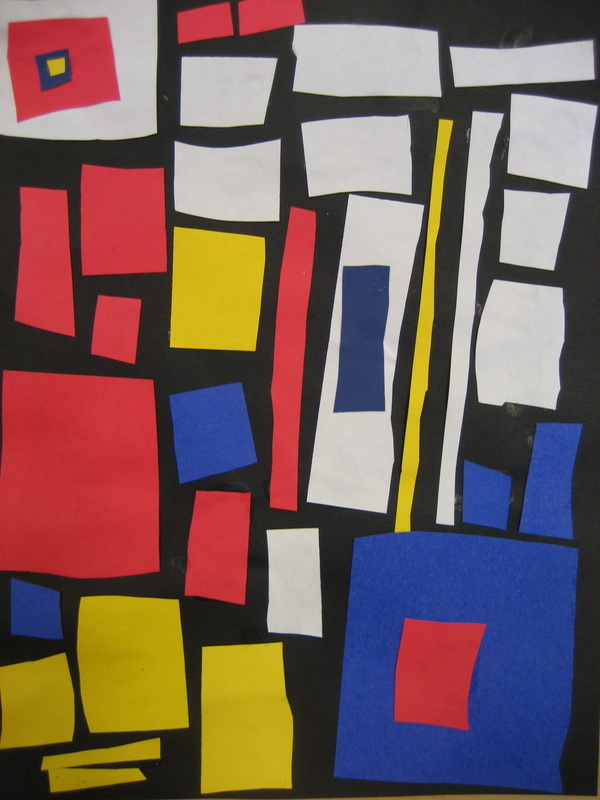 These art projects turn out striking due to their high contrast and simple geometric shapes!